The theory test is made up of two parts, the first is set of multiple-choice questions and second is a hazard perception test. You will need to pass both. To do this you will need to answer at least 43 out of 50 questions correctly in the multiple-choice questions and also score at least 44 out of 75 for the hazard perception test. 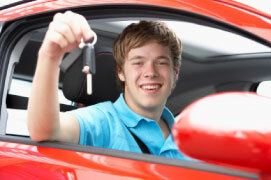 Please note: you cannot book your driving test until you pass the theory test.